I bought this book from audible.com. It is written by Kerry Patterson, Joseph Grenny, David Maxfield, and Ron McMillan and narrated by Eric Conger. I struggled to make it through the fist half of this book, I am not sure why, but somewhere around the halfway point it really started to speak to me. In my opinion this is not a great book, but it is a very good book. It contains many insights into what influences our behaviors and decisions. I guess I really don’t have a lot to say about this book. I feel like I learned something from it and that it was worth my time listening to it, but it did not make a significant impression on me. Everyone wants to be an influencer. We all want to learn how to help ourselves and others change behavior. And yet, in spite of the fact that we routinely attempt to do everything from lose weight to improve quality at work, few of us have more than one or two ideas about how to exert influence. For the first time, Influencer brings together the breakthrough strategies of contemporary influence masters. 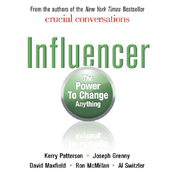 By drawing from the skills of hundreds of successful influencers and combining them with five decades of the best social-science research, Influencer shares eight powerful principles for changing behaviors – principles almost anyone can apply to change almost anything. I rate this book an 7 out of 10 for those interested in books that research influence and behavior. Man I love these Doctor Who novels; they are like munching on great candies. The Taking of Chelsea 426 involves the Doctor as played by David Tennant without any companions facing the Sontarans and Rutans on a space station full of humans from Earth. Written by David Llewellyn who has also written 2 Torchwood novels and 2 Doctor Who novels including Night of the Humans featuring the new Doctor and Amy Pond. This book is a fairly standard Doctor Who romp through a space station with a pair of old enemies and human stuck in the crossfire. It is very well written and the story moves along at a pace very similar to the TV episodes featuring David Tennant and the 10th Doctor. I rate this book an 8 out of 10. If you love the 10th Doctor and enjoy fast paced sci-fi then I think you will really like this book. The Blessing of a Skinned Knee: Using Jewish Teachings to Raise Self-Reliant Children by Wendy Mogel, Ph.D.
Wendy Mogel is a clinical psychologist and Jewish educator who discovered that her treatment of children in her practice was not yielding the results or insight that she desired. After delving into her Jewish heritage and the teaching of Judaism she has found a much more effective and rewarding ways to help both children and their parents. I was recommended this book during a Bootcamp for New Dads class a couple weeks before Eli was born, and I am so glad I have read it. I expect the knowledge and ideas contained within to be a huge help with parenting. I am not Jewish and this book has a lot of Jewish references and content, but please do not let that stop you from reading it. There is so much wisdom offered by hundreds of years of experience that it would be a shame to discount due to religious views. As a new father I am amazed at how hard it is to slow down when my baby cries instead of speeding up and making mistakes. The ideas in The Blessing of a skinned Knee have helped me immensely when it comes to being patient and understanding that my baby’s crying is not an emergency that I need to rush to fix but the only way the baby currently has to communicate. I look forward to putting more of what I have learned from the book into practice as Eli gets older. We borrowed this book from our local library. 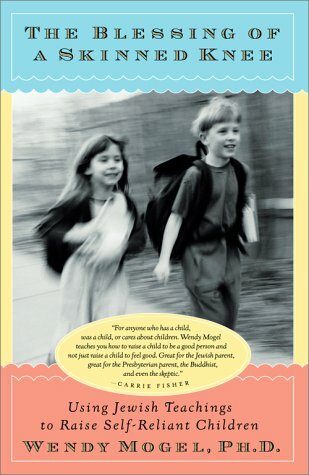 I rate this book a 10 out of 10 and recommend it to all parents of children of any age. Eli had a check-up yesterday and he is up to 4 lbs. 9 oz. and is doing great. He is a bit fussy at night but we have a new plan to keep him awake a bit longer during the day so he will hopefully spend more time sleeping at night. If anyone has tips for helping him sleep more at night we would love to hear them. Because he is a preemie we have to wait 4 to 6 weeks after his original due date before taking him out in public. His due date was August 22nd so we cannot take him out until October. Wow that is a long time. In this adventure the Fifth Doctor as played by Peter Davidson travels with companions Nyssa and Tegan to London and Egypt to thwart the Osiran Nephthys. I really enjoyed reading this book using eReader on my iPhone. It is available free from the BBC’s Doctor Who Classic web site along with 8 other books. The story moves along at a good pace, not a fast as some Doctor Who novels, but this is book meant for more mature readers than the new series. I really enjoyed the way the Doctor plays with time in this book taking Atkins back and forth through time even having his past and future selves in London at the same time. I also really like the Author’s notes where Justin Richards shares his thoughts on the book and the Artwork gallery with drawings from the story. Also under the aurthor’s notes are two flowcharts that show the Doctor’s timeline and the Main timeline of the story. Real inside baseball stuff that makes a fan like me happy. I rate this book an 8 out of 10 for fans of the series. It is a great read especially when you take into account that it is free!